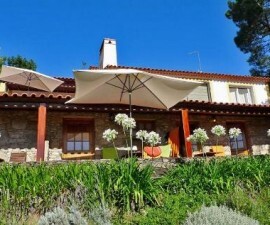 The Estalagem Lago Azul is located on the shores of the largest body of freshwater in Portugal, the Castelo de Bode. Just a few kilometres from the historic town of Tomar, the Castelo de Bode was created in the mid-20th Century by the construction of a dam in the Zêzere River, a tributary of the Tagus that runs through the Ribatejo region. The lake has become a focal point for the local residents of nearby Tomar and is highly popular amongst Portuguese and overseas tourists who flock to its shores in summer to bathe in its clear waters and enjoy the whole gamut of water sports on offer. The hotel is located in an enviable position right on the waterfront and its large picture windows afford lovely views over the turquoise waters of the lake and the rolling green mountains beyond. Its low-rise layout comprises a total of 18 rooms spread over two floors, decorated in warm colours which enhance the tranquil feeling of the Estalagem Lago Azul’s rural location. Each room includes a seating area with satellite television, minibar, heating and air conditioning and safety deposit box, and some have large balconies overlooking the water. Request a room on the upper floor for the best views or a corner suite for absolute privacy on your terrace. 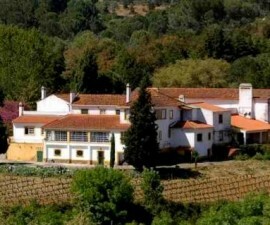 The hotel has a restaurant serving traditional cuisine from all corners of Portugal. The bar and lounge feature a cosy fireplace and the addition of a billiards table and games room helps keep the younger guests entertained. Outside, the sun terrace opens to lovely landscaped gardens with a private outdoor swimming pool, sun loungers and tennis courts. The level of facilities is generally very good and guests can benefit from room service, business centre, Wifi, babysitting, laundry, dry cleaning, ironing and shoe shine as well as car hire and packed lunches to set you up for a day exploring in Tomar or further afield. Staff are generally very helpful and are happy to organise trips and activities in the local area. 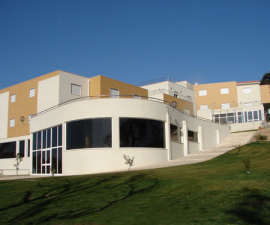 Fishing, snorkelling and sailing are all available at various locations on the lake, while the rolling mountains of the Ribatejo offer endless opportunities for horse riding, cycling and hiking. Just ask at the front desk for information and you will be well taken care of. The hotel’s rural location means that use of a car is advisable and the hotel offers free private parking on the premises.